Most philosophers are “compatibilists”: they think we can square “metaphysical libertarianism” (the view that metaphysical free will exists) with determinism. But there’s only one way to do this: by changing the meaning of either determinism or metaphysical libertarianism. Using the terms as typically understood, they are mutually exclusive. I am not a compatibilist. I reject metaphysical libertarianism in favor of determinism. However, I am also an existentialist. My existentialism largely stems from my determinism. Radical freedom and responsibility are the only response to the fact of determinism that I can think to make. Think of it this way: if determinism is true, there is no reason for me to do anything. There isn’t even a reason for me to think about anything. Whatever I think or do, I must acknowledge that I was simply fated to do so. Even that acknowledgment is just another result of particles zipping about. So what should I do? There is no answer. I will simply do what I do. Should I just not do anything then? Or just follow my blind intuitions? It doesn’t matter. If and how I take any such choice is just as much not up to me as everything else. I am stuck in an absurd situation, seemingly without a way out. This is where existentialism comes in. Existentialism is an ideology for confronting the absurd. There are many ways of interpreting “the absurd” – in the context of existentialism, it’s best to think of the absurd as a situation in which we are compelled to choose although choice is impossible. Existentialism is a how-to guide for dealing with such a situation. Determinism isn’t the only route to the absurd. Since existentialists tend to be metaphysical libertarians, their paths to the absurd don’t generally pass through determinism. It’s worth taking a look at these other routes to see just how existentialism alleviates the absurdist’s condition. Consider the fact of death. Death is coming for me. If I reject the notion of an afterlife – as non-Christian existentialists tend to do – then death really is the end. It is the obliteration of everything I have ever known or thought. Once death comes, it will be as if neither I nor the universe ever existed. That great nothing that isn’t even anything will swallow up the past, present, and future in one instantaneous gulp. This means that nothing I do matters. All my passions and projects will disappear, along with any value they ever had. To care about anything is to build a house of sand when the chance of rain is 100%. Or, take the most common existentialist starting point for the absurd: the fact that there is nothing essential to being human. This means there’s no right way to live. There are no right or wrong choices to make. The world just doesn’t care. The usual intuitive reply is that this is all very depressing. But the existentialist knows there’s nothing depressing about any of this. If the facts of death and non-essentialism obliterate all value, they obliterate the notion that valuelessness is depressing as well. So what should we think then? As before, there’s no answer. That’s our clue that we’ve arrived at the absurd. Existentialism offers a way out: radical freedom and responsibility. The fact of valuelessness combined with the fact that, as humans, we must value, means that it’s up to us to create value ex nihilo. Values aren’t imposed on us by some higher power like metaphysics, rationality or objective ethics. They are ours entirely, for us to create as we do. Even if we allow ourselves to be guided by what we think is rationality, that is inescapably our choice. Nothing compels it, so the responsibility for it lies entirely in our hands. In this way, existentialism finds a way to interpret inherent valuelessness as the very thing that makes our life our own. If there were objective facts about how we should act or think, then our lives wouldn’t be personal creations. We wouldn’t be responsible for ourselves. We would be The Right Way following machines. This applies even if value is subjective. Even if there are right values for me, so long as I didn’t freely (i.e., ex nihilo) come up with them, then I am slave to something outside me. But the absurd means that we ultimately must create our own lives. There is nothing outside us to make our meaning for us. We can own up to that fact – that’s what existentialists call being authentic – or we can pretend to be slaves to rationality, ethics, or what have you. But even the pretense is our choice. We can only pretend not to be in an absurd situation, we cannot avoid actually being in one. Whether we like it or not, our life is our own. 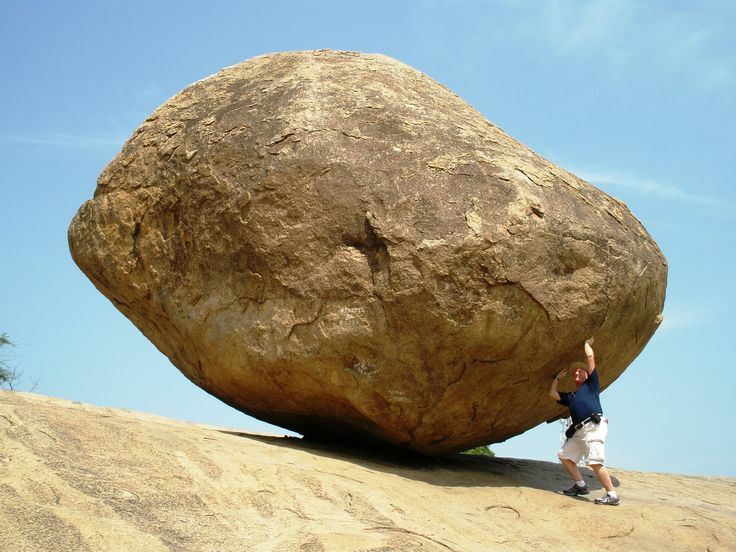 Why did Camus choose Sisyphus as his poster boy for the existentialist outlook? Precisely because he is trapped in a situation without choice. Camus’ other famous hero of existentialism – Meursault from The Stranger – fits the bill for a similar reason. At the novel’s end, Meursault accepts that he is condemned. He has no choice in the matter. It is only then that he finds himself free to create the meaning of his existence, and ultimately, his happiness. This emphasis on making sense of having no choice highlights how well-suited existentialism is to deal with the absurdity that stems from accepting determinism. There’s still a problem. Sisyphus and Meursault both still have freedom of choice regarding what they think and believe. If we accept determinism, we shouldn’t think we have that either. According to the determinist, there is no tragic beauty in Meursault’s acceptance of his fate. It’s just another manifestation of physical causality doing its thing, like anything else. The final plank in the determinism/existentialism bridge is Wilfrid Sellars’ distinction between the scientific image and the manifest image. The scientific image says that the fundamental facts are those of elementary physics. That’s all that’s really happening. The manifest image, on the other hand, is, well, the world as it is manifest to us. It is the world of ordinary phenomena. The scientific image implies determinism. The manifest image implies metaphysical libertarianism. One way of saying that I am a determinist is to say that I hold the facts of the scientific image to be causally prior to those of the manifest image. But we cannot simply deny the manifest image. The manifest image is where we all live. It is its language that we all best speak. On the level of the manifest, it is impossible to deny the experience of free will. Since it is from the manifest that we interpret our everyday actions, we cannot help interpret ourselves as free. We do this even if we also believe that we are caused to do so. When we think in terms of the scientific image, we are forced to realize that we are engaged in something of a pretense; or, rather, that we are so programmed. It’s an uncanny, unsettling, almost impossible thought. But, well, the manifest world moves on, driving us to keep on pretending, whether we like it or not. Put another way: both the scientific and manifest images are compelling. The scientific image is metaphysically prior, but the manifest image is praxeologically prior. Thus, the scientific image answers the question about what fundamentally exists. It tells us there is no free will. Meanwhile, the manifest image answers the question about how we should act. It tells us we must act as though we are free. The two don’t have to conflict. It is consistent with the scientific image that matter should bounce about in such a way as to yield people who experience the illusion of free will. And we can personally handle the absurdity of determinism by adopting existentialism as our guide toward action and self-interpretation. Why not avoid determinism and the absurd? One might ask: why not reject determinism and so avoid having to go to existentialism for therapy? There are various reasons to prefer determinism over metaphysical libertarianism – that will have to be the subject of another post. But note that the question smuggles in an assumption: that existentialism must be a suboptimal coping mechanism. Quite the contrary: now that I’ve embraced the absurd, I can’t imagine meaning or selfhood without it. It is the absurd that gives life its stakes. To be an existentialist is to take on the responsibility of god. I wouldn’t have it any other way. ← These 4 Hidden Truths About Titles Will Make You Rethink Titles in 30 Days! Fantastic post. My own conclusions could not have been stated more clearly. Would it be alright with you if I reblogged this?